The industrial market continued to tighten through the end of the second quarter of 2015. 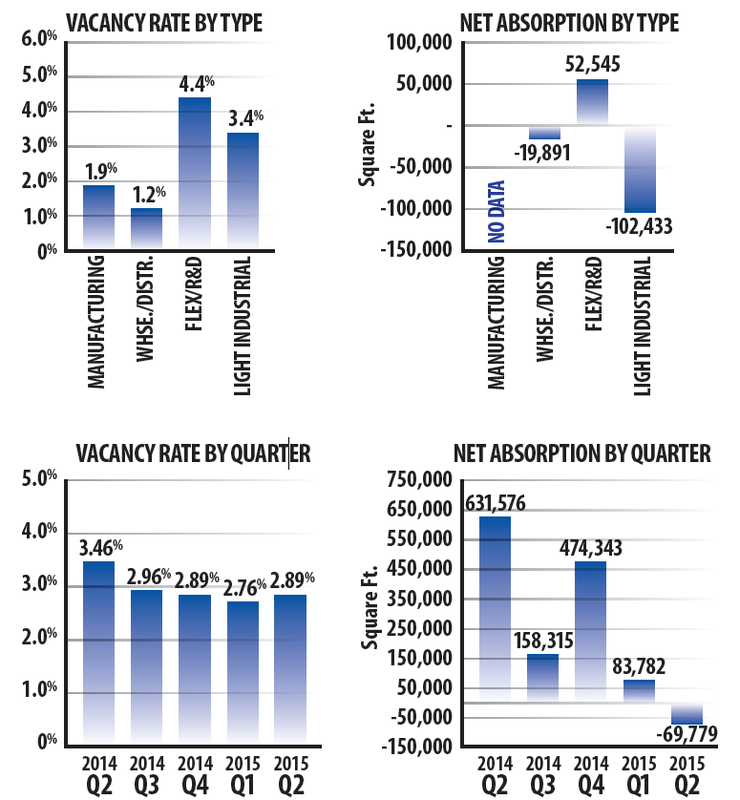 Currently the overall vacancy rate is just 2.9%. That is the same rate that was posted at the end of the first quarter of this year, but still lower than the 3.3% vacancy rate posted at this time last year. In a market with over 68 million square feet of industrial space, having only 1.9 million square feet available is creating quite the problem for users in need of additional space. With few choices, tenants are having to compete with one another for space. As a result, landlords are starting to spend fewer dollars in order to get deals and we are for the first time in years seeing an uptick in rental rates and lease terms. Although lease comparables are not available because lease terms are typically viewed as confidential, Xceligent data is showing that average asking rental rates are up $0.35 per square foot since this time last year. 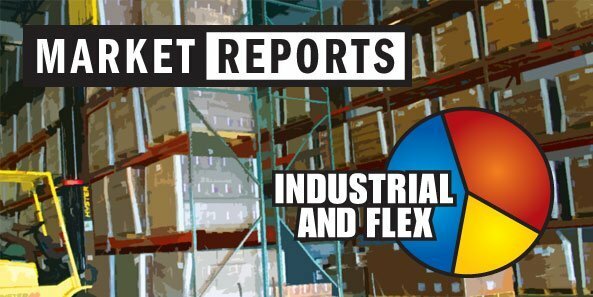 It should be noted though that this is a blended figure that takes into account flex rental rates, which tend to be higher, and warehouse rates, which tend to be lower per square foot. It does however, show that space is becoming more valuable as the market tightens. More significant has been the increase in users looking for land. With few existing options for companies to lease or buy, the market for industrial land has been quite active. Investors Realty is currently tracking several users active in the land market. We believe many of them are likely to locate into new facilities along the Highway 50 corridor south of Highway 370. Also meeting some of this demand are several speculative projects in the pipeline. Once we see tenants moving into these new facilities or spec projects, we should start to see a modest increase in the vacancy rate as the users moving into these facilities will vacate existing buildings. Until that happens, however, you can expect to see the vacancy rate continue to decline and the demand for industrial space to remain high.